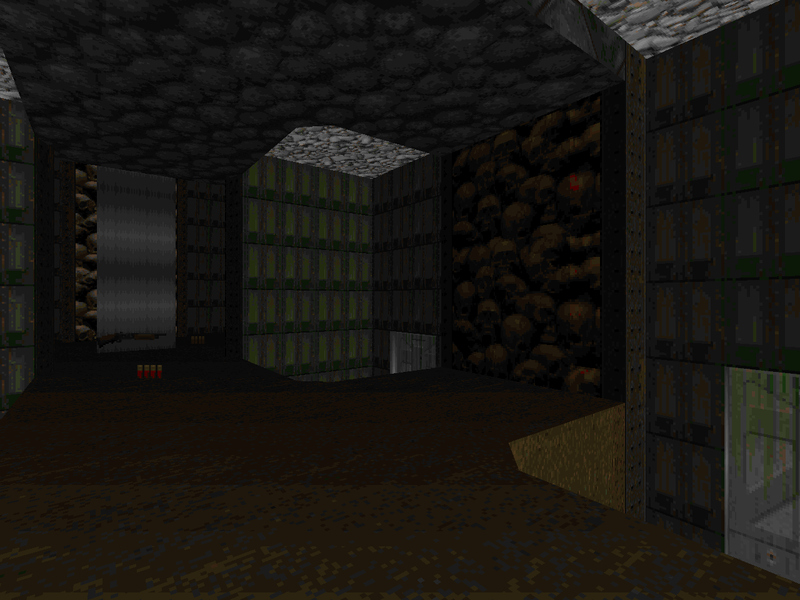 The young MS has left behind a sizable collection of levels for Doom II but you might not know that he crafted a paltry single map for the original. Skull is an E1M1 replacement released in 1996 after the dual publication of Go Away and NOSUN, the latter starting its similarly-titled series. It's interesting to see Malcolm try his hand at a format that's far more restrictive than the palette of monsters found in the Doom II rogues' gallery. What would his combat be without the screaming revenants, oppressive arch-viles, or corpulent mancubuses and arachnotrons? Can you even live without the constant threat of a chaingunner suddenly appearing? Err, nevermind on the last one. SKULL continues the unusual trend of NOSUN by including a story. 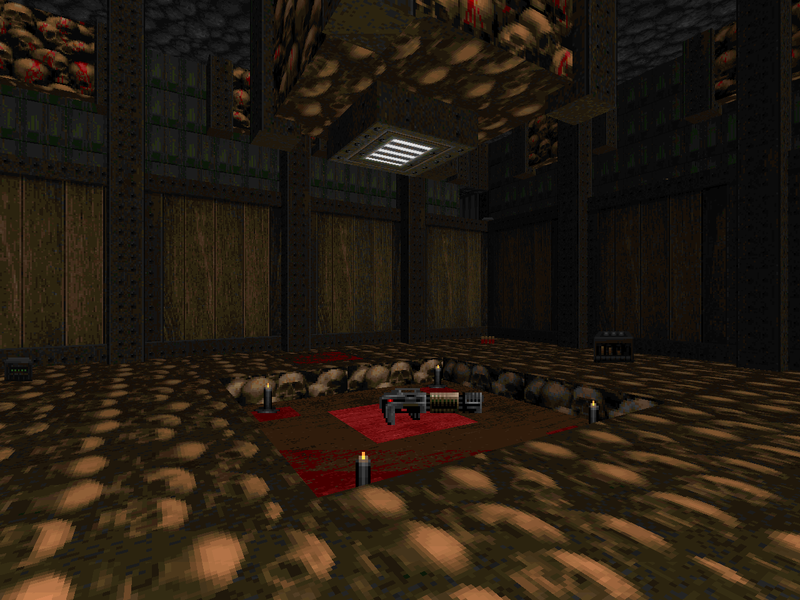 You're Doomguy and you've settled down but where one typically suffers the usual post-traumatic nightmares associated with the battle against the forces of Hell you look back fondly through blood-tinted glasses. You mostly miss the adrenaline rush of fighting for your life. So you gather a few of your closest friends and grab the very best armaments that you could need only to fall into a nondescript hole on your way back to the portal to Hell. Except you left everything but your pistol on the topside. And the pit is actually the focal point of an elaborate staging area, built by Hell's survivors out of the corpses of dead marines. They intend to avenge their losses. Sailor obviously wants to offer some semblance of pressure and the early part of the level shows where his inclinations lie. The potential of the imp ambush at the starting area is actually pretty good and I enjoyed the initial descent that leaves you with four separate but small imp mosh pits to sort out. Basically the entire catwalk is a lift and when used it allows any of the remaining baddies to encroach upon your space. It isn't all that dangerous but it's a nice twist using the sector machinery. The northern annex was the closest I came to death during the entire run. The bunker / office looks pretty safe but a cacodemon sneaking in is palpably terrifying since your only weapon at the time is the shotgun. Leaving the tech facility itself is less than intuitive but there's only so much for you to bounce off of. The remaining fights are cute but have little if any teeth. There's a novel risk vs. rewards scenario where four sequential switches are located adjacent to a stationary Baron of Hell but the space around him is so wide open that he's only really a hazard for speedrunners. The two most dangerous encounters are softballed by invulnerability artifacts. One is just rough because it's four cacodemons in a really tight spot. The other has the coolest area, taking one of two paths to enter a Hellish chamber in the depths of the base with a ledge staffed by Barons. A minor horde of monsters teleports in at multiple spots on the ground floor once you fire a shot. It's mostly neutered by having a boatload of cell ammo and a plasma gun and another invul sphere doesn't hurt. I like being able to go hog-wild with plasma. 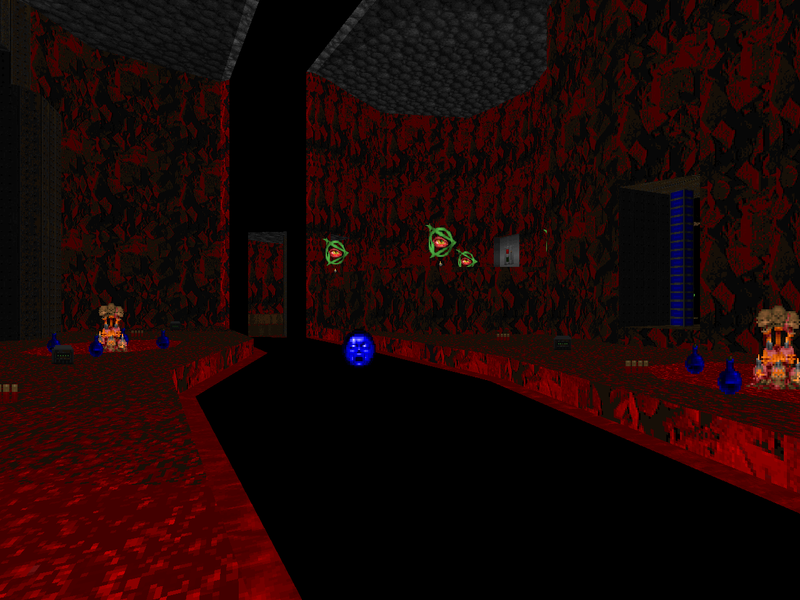 While it's not nearly as harsh as Sailor's later levels the encounter design still lets you feel like a Doom badass. The architecture and detailing are clean and cool. 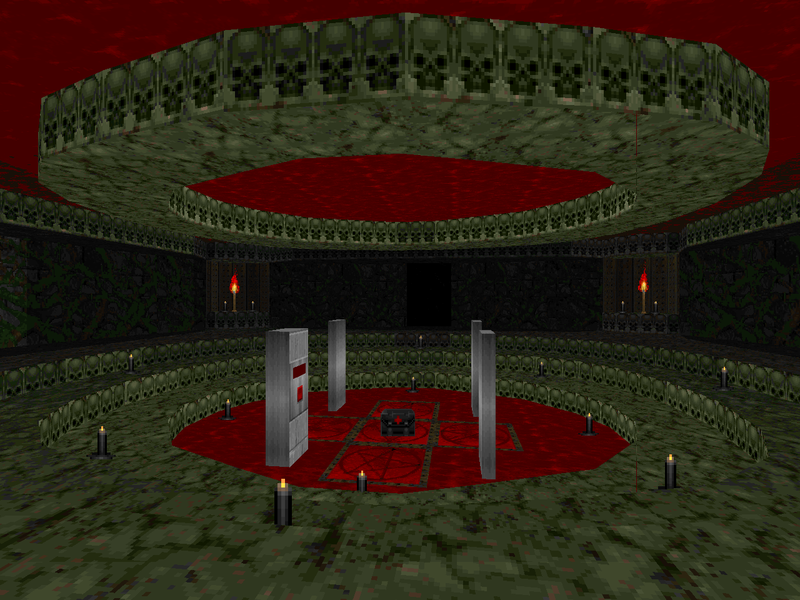 It's not quite as interesting as it could be since the majority of the map is bilaterally symmetric including its encounters but such mirroring is also an element of E1 levels... not that this has anything else to do with Knee Deep in the Dead's style. 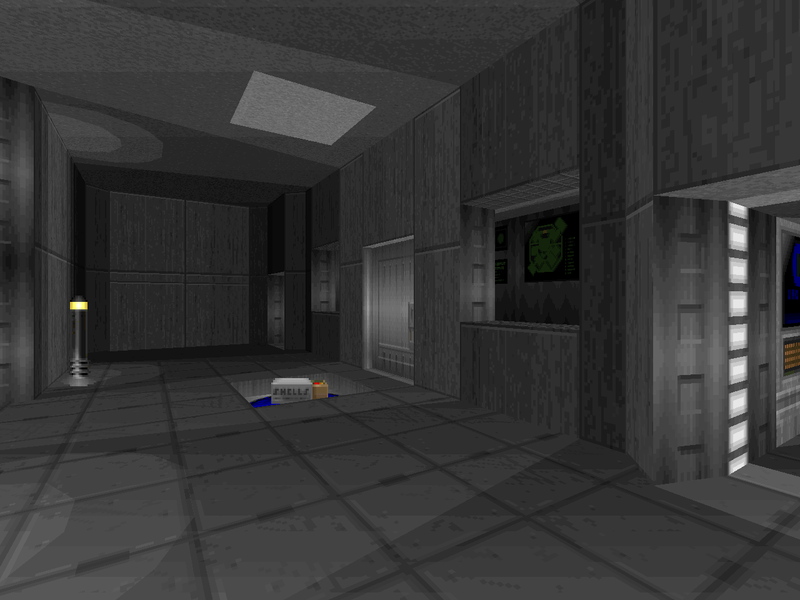 There is an echo of one of Malcolm's closely-released maps, though. The western teleport leading to the upper balcony horseshoe is similar in design to a bit in GOAWAY09 except the thing placement isn't nearly as dangerous. You start to see some of his burgeoning realistic lightcasting in the northeastern annex, pointing the way toward one of the key features of the CHORD series. 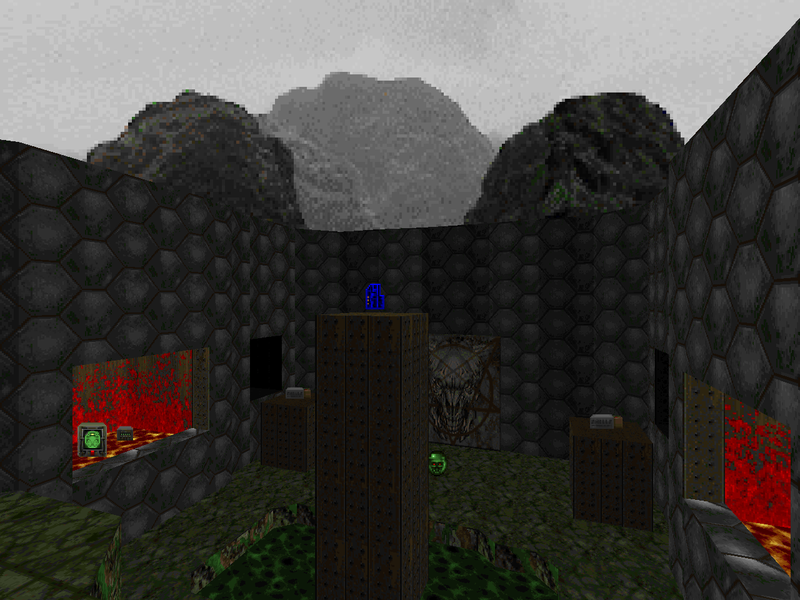 Skull won't tickle the nostalgia bone if you're looking for something that apes the style of the Doom episodes but it's a fairly fun blastathon of a level and will keep you if not constantly reeling between blows then lightly treading on your toes. I'm slightly disappointed that Sailor released this one singular selection for the original trilogy but its gameplay limitations would only have hampered his particular genius.